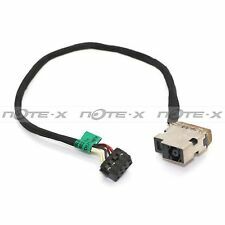 Compatible avec la plupart des OS récents et avec l’USB 2.0, il ne nécessite aucune installation. Design léger et portable. Empêche la surchauffe de votre ordinateur portable. Convient aussi bien à une utilisation à domicile ou au bureau. Portable Drone Bag. Mini Pad Wheel Type USB fan cooling cooler for PC laptop notebookSKU: LBF-W. Scientific design that the fan can be used with any laptop or notebook. 1 x Mini notebook fan. Tablet Holder Universal. An easy, convenient and sleek way to keep your Notebook protected from overheating. The cooler also has a tilt function allowing you to place your laptop in 5 varying heights, helping you to find a comfortable typing position. Product Name: Notebook CoolerFeatures: blue light, multi-angle adjustment, mute, non-slip designRated voltage: 5VDCRated current: 0.32ASpeed: 800 -10% 2 USB PortWeight: 799g6adjustable anglescolour: BlackMaterial: Metal plasticsize: Dimension: 270*370*33mmDC Fan Size: 140x140x15mmPackage Contents: 1 X notebook heatsink1 x English manualOnly the above package content, other products are not included.Note: Light shooting and different displays may cause the color of the item in the picture a little different from the real thing. The measurement allowed error is /- 1-3cm. MPN Does not apply Brand Unbranded UPC 192701917012 EAN 192701917012 ISBN 192701917012 Desinger/Brand Unbranded. LapGear Essential Lap Desk - pink, Fits up to 13.3" Laptop for Lap Desk NEW Condition is Used. • 1 x 5 Fan Laptop Notebook Cooler Fan Cooling Pad • 1 x Usb cable. • The cooling pad has a 6 point tilt to give it a more comfortable viewing experience and to ease typing. • Simple plug and play device so no installation required (May require a laptop re-start on first usage to aid usb recognition). 21962 Codice EAN Grande superficie 330 x 250 per laptop fino a 16". laptop size15.6 ". Design inclinato per una digitazione confortevole. Vano per cavo integrato. Requisiti di sistemaPorta USB. Power sourceUSB. Bezieht Strom über den Notebook kein externes Netzteil notwendig. Das Coolpad bietet ihrem Notebook idealen Schutz vor Überhitzung und verhindert plötzliches Abschalten des Systems. Stromkabel (USB) 650mm. Type:Four Fans. USB Ports:2. 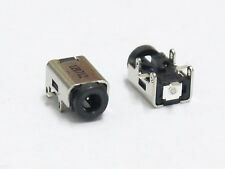 Power:USB 5V DC. Material: PVC & Iron. Fan Speed:1000RPM. Note: Light shooting and different displays may cause the color of the item in the picture a little different from the real thing. This is our new standalone Travel Deck 13 Lap Desk. No keyboard, laptop computer or wrist pad is included. We don't like the "cooling" decks that have fans (what's the point?). or speakers (really.this is a tray, not a stereo), but we do like the idea of protecting our gonads from excessive heat (just in case). Notebook Cooling Pad Portable USB Powered Cooler for 10-14" Laptop. High quality Laptop cooler / Cooling Pad. Powered through USB port on your Laptop / Notebook / Ultrabook. Low noise one fan cooling pad. Your laptop can breathe easily with this ultimate notebook cooler. Mini Foldable USB 2.0 2 Fans Cooling Pad Laptop Fan Cooler Notebook Stand. Pad Laptop Cooling 2 Usb. USB Laptop Cooling Pad Quiet Fans. Targus Notebook Cooling Laptop Chill Mat Laptop PA248U4. Dual Fan USB Powered NEW SEALED. Polyresin base builds anti-vibration for safety, durability and long lasting product. No aircon?. The compact and elegant design, mute sound and durable, USB powered plug in. A great choice to be used as cooling fan for notebook and desktop. 100% Brand New! Color:black. Material: Toughened plastic. Fan dimension:140*140*20mm. Outside dimension: 320*245*24MM Noise:15 dBA. Rotate speed:1200 /-10%RPM. LED Fan Blue-Colour LED Fan. Fan Speed 500 ~ 800 RPM. Noise Level Max 24 dBA. This does not affect your statutory rights. We exclude any liability for any errors and omissions on the site. The access or use by you of the contents of this website is entirely at your own risk. TopMate C7. The Notebook cooler has a unique design and adjustable tilting, so it can truly suit your needs. Cooling pad has 5 fans, the four outer large fans and then the center wind fan. The Laptop cooling fan has a few red LEDs that illuminates it while working. USB Port USB 2.0 HUB 2ea. Power 5V USB Powered. - Fan Speed Adjustable. - Black Color. Color Black. - Two Centrifugal Fans. We've been focused on getting people around the world great deals on security systems and computer parts. New Portable Cooling Stand for For Laptop / Notebook Computers Adjustable Up To 13" In Overall Length! The Portable laptop cooling adjust the length to fit, just fix the length by turning the lock in clockwise direction. The Slim Laptop LapDesk protects you from laptop heat. The Rubber Grip Strip prevents the notebook from sliding. 928 high capacity vent holes evenly distribute the flow of cold air to cool the entire notebook. 2 Step Foot. Noise: 18.0-25.5 dBA ± 10 %. Ergonomically designed to minimize user fatigue. New Sealed! Passive cooling (no fans)! Keep the heat away from your body. The item has been inspected, any flaws have been noted in item condition. Compatibile e durevole: Compatibile con vari tipi di computer da 12-17 pollici. Orari di lavoro PRODOTTI . CONTROVERSIE . KLIM Cool Universaler Kühler für Spielekonsole Laptop PC – Hochleistungslüfter für Schnelle Kühlung - USB Warmluft-Abzug Blau. KLIM Cool ist KLIM Technologies' erstes Produkt. KLIM Cool ist zur Zeitder effektivste Kühler am Markt und bewirkt eine durchschnittliche Temperatursenkung um 17,6°. Manufacturer: ZALMAN. 200mm Zalman Fan. Gross Weight: 1.26Kg. Ultra Quiet. This does not affect your statutory rights. We exclude any liability for any errors and omissions on the site. The access or use by you of the contents of this website is entirely at your own risk. 360 Degree Rotation Laptop Notebook Cooling Cooler Holder. 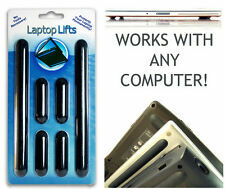 Portable Notebook Cooling Stand lift the notebook to promote airflow and reduce heat buildup. Non-skid base hold the notebook securely. The base is rotatable in 360 degrees before holding the laptop for autofit angle. Type: Three Fans. Radiator Type: Air-cooled. USB Ports: 2. 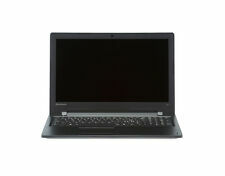 Application Laptop Size: 10-17". 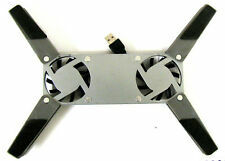 4" Mini Desktop Cooling USB Fan in Black. This is compact and light weight USB powered desktop personal fan. USEFUL LINKS. Toys & Hobbies. (Not Selected). Battery: AA x 4 (NOT included ). ON/OFF switch. 2 ultraleise Lüfter (Ø 55 mm), Stromversorgung über USB. Ihr Reise-Coolerpad benötigtkeine extra Stromquelle. Sie schließen es einfach an einen freien USB-Port an. Das Geniale Lampen & Leuchten. LED Lampen. The magic of the cooling gel gently pulls heat away from your body and provides an instant cooling sensation. No Refrigeration Needed. Enjoy the experience 3-5 hours of cooling relief from the excessive heat that distracts your sleep and comfort. Cooler Master NotePal XL notebook cooling pad 43.2 cm (17") 1000 RPM Black230 mm - 600-1000 RPM - 89.8 CFM - 19 dBA - USB 5V DC - Black. Cooler Master NotePal XL notebook cooling pad 43.2 cm (17") 1000 RPM Black. 2 Fan Notebook Laptop Two Fan Cooler Stand Pad Blue LED USB Port 14" 15.6"
Smart and unique design USB powered. Super quiet two fan keep your laptop cool and prevent overheating. Smart design allow optimal viewing and positioning of laptop at eye level to reduce neck strain. DEEPCOOL N1 15,6 ZOLL NOTEBOOK PAD KÜHLER WEISS LAPTOP KÜHLUNG USB KÜHLPAD !! Ein Notebook Kühlpad wie beschrieben. Unique Anti-slip design ensures notebook safety. Net Weight 700g. Fan Speed 600±150~1000±10%RPM. 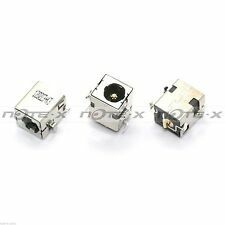 Power Input 0.5~1.1W. Portable & slim design, only 2.6cm. Air Flow 84.7CFM. The Vantec LapCool TX Ultra is a unique notebook stand with built-in fan for notebook of all sizes. The built-in silent fan leaves you undistracted by noise but also reduces the temperature on your notebook. It hass i d e s m a l l p o c k e t f o r p e n s to ra ge o r li tt le s tu ff s. Z ip pe r handlei s mi ss in. Removable canvas cover for washing. Bean pouch can also be washed in the laundry, delicate cycle. P/N CLN0015. Supports laptop size from 10" ~ 17". 230mm Blue LED fan. Accessory USB A to USB A (60cm). Compatibility For 10”~17”. Noise 17 dBA. Fan Speed 600± 10% R.P.M. This does not affect your statutory rights. LED Fan Red-Colour LED Fan. Fan Speed 500 ~ 800 RPM. Noise Level Max 24 dBA. This does not affect your statutory rights. We exclude any liability for any errors and omissions on the site. The access or use by you of the contents of this website is entirely at your own risk. You will love this mat. Laptop Lap Tray. No more trying to sit at the right angle, aching back, scrunched over to use laptop without a table. - Designed with its own cushion and handle. Work better for longer with this folding laptop stand – bed, garden, floor, out and about!